Simple design which allows users to make maintenances on their own. 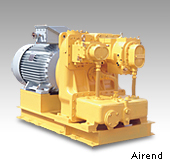 High efficiency is realized by adopting large capacity airend. 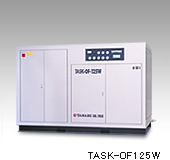 Recommended O/H hours is 50,000h (TASK-37K-IP). 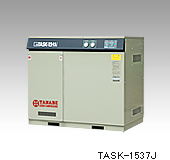 "TASK" has adopted the screw air-end which has the virtue of being highly durable, and theoretically it should last indefinitely. 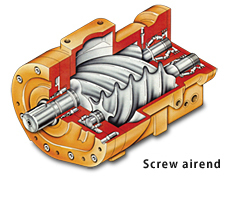 When parts for servicing need to be replaced during annual maintenance, it is easy to exchange. 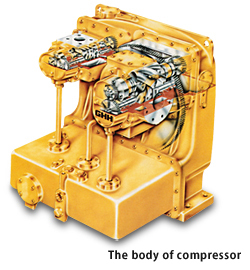 The pressure of a high-performance twin rotor, which is exceptionally gastight, can smoothly boost up to 1.42MPa in a single-stage compression. 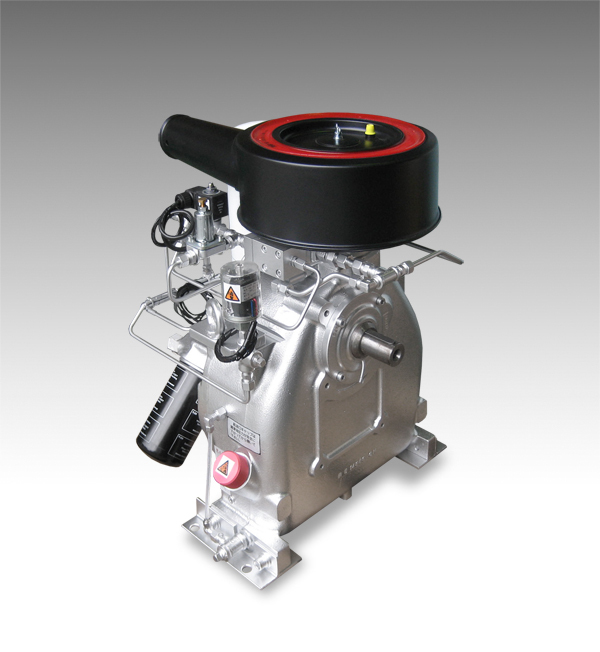 Another rotor with 0.69/0.98MPa specification is also designed with equal gastightness and has a higher durability. 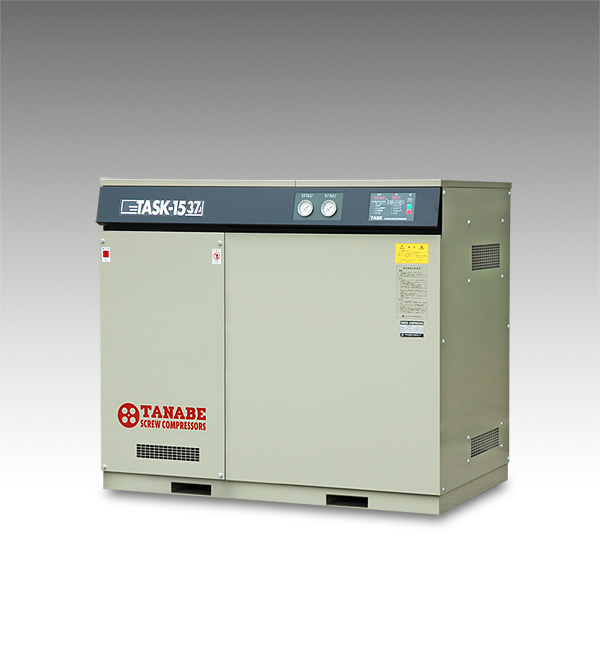 TANABE TASK series have been widely accepted not only by the general users, but even other customers with stringent requirements such as steel works, power plants, and government offices, due largely to the high durability and reliability of the TANABE TASK series. Specifications chart*click to view large image. Products*click each picture to view large images. 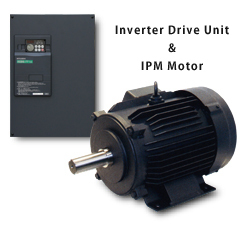 Our product has adopted the IPM motor(18.5kW—110kW)which boasts the best efficiency of its class in the world. (of motors in use, as of 2009). 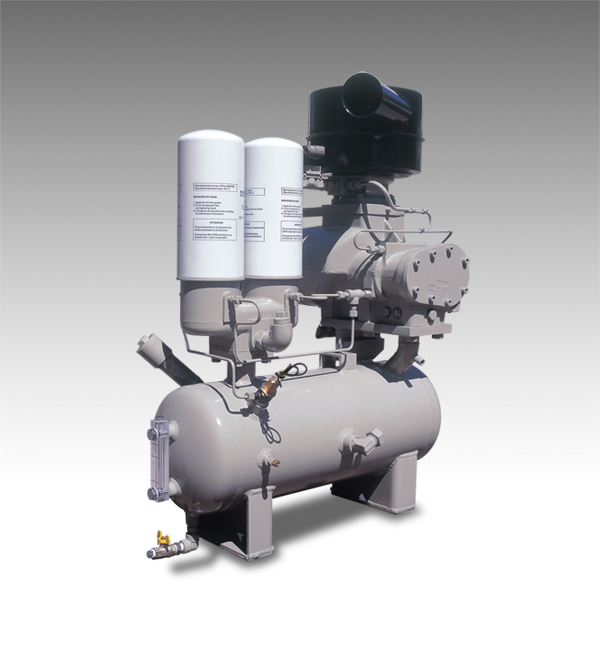 "The reading air control"delivers the air you need, when and where you need it. 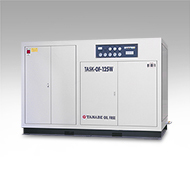 "(Maintenance cost of the standard machine + Inverter power cost)/service life"has made the life cycle cost of our products the lowest in the industry. Life cycle cost is a collective term for "(Installation cost + Power cost + Maintenance cost) /Service life". 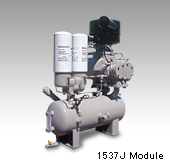 The cost for installation, and power and maintenance costs are minimized, while service life is made to span many years. 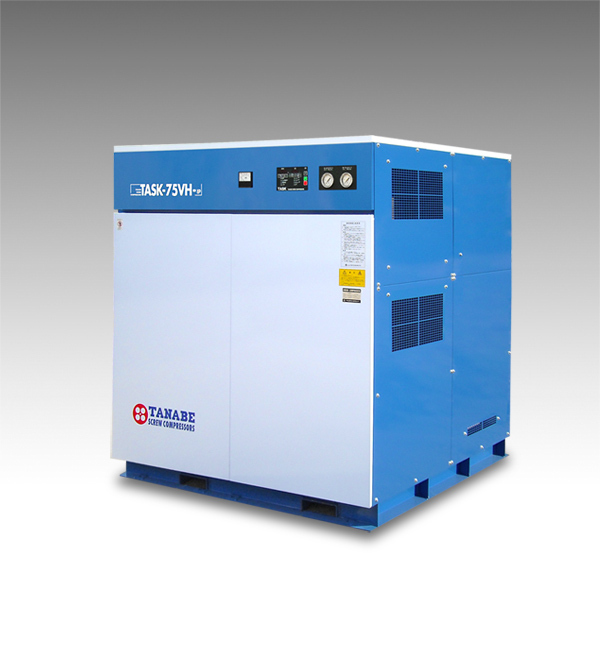 For "the longtime usage", we have integrated the power saving system, and the same durability and maintainability that the standard machines have at the highest level. 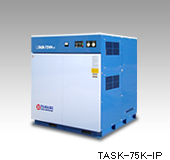 "TASK-inverter" is a winning solution for cost reduction in delivering compressed air. 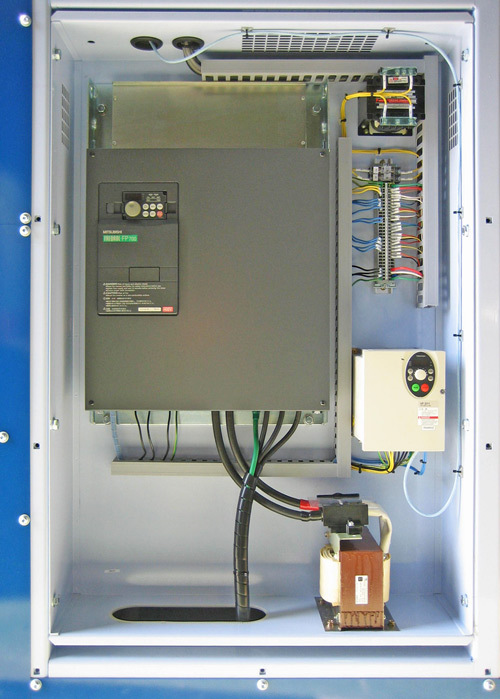 We have adopted the IPM motor and the Interior Permanent Magnet motor(18.5kW—110kW)which we proudly offer the highest level of efficiency around the globe. 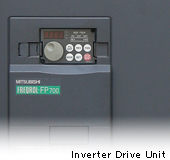 In addition, the control unit (inverter drive unit) makes possible the optimum control based on the amount of air used. 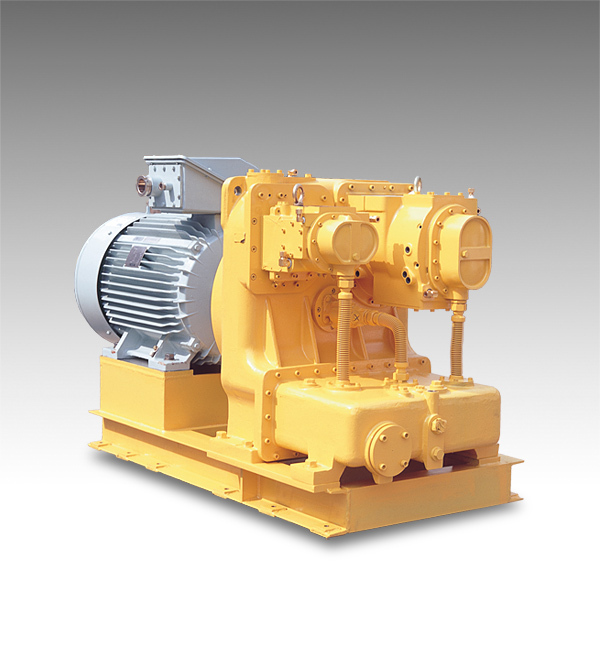 This has accomplished a twenty-one percent energy saving when compared with former standard machinery. 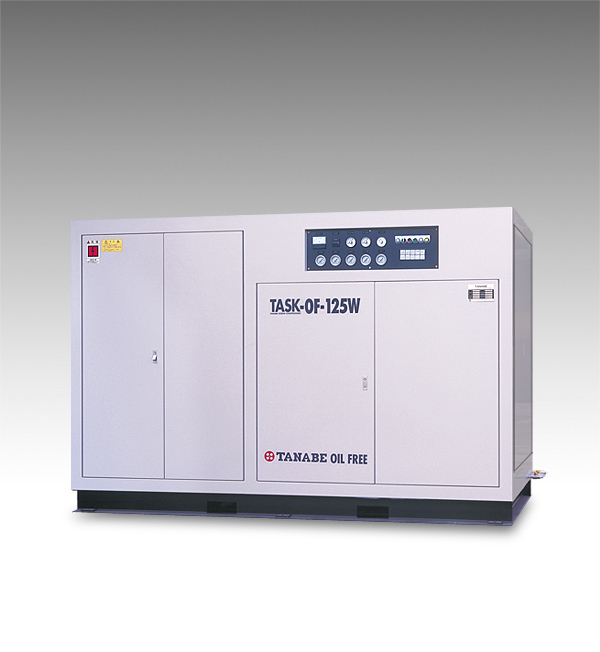 As a 2-stage screw oil-free compressor, TASK-OF is able to reach the highest pressure -1.03MPa- which is the best of its class in the country. 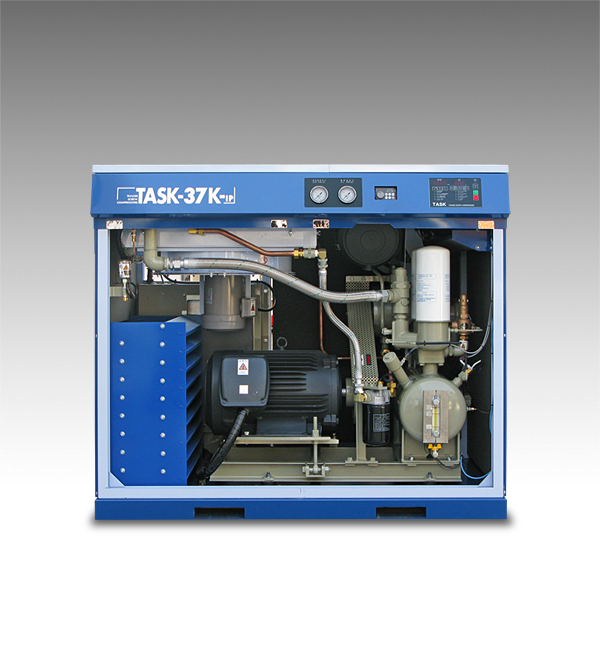 Using high quality material, this extremely precise body of compressor manufactured in Germany, has established high durability for each parts for servicing. 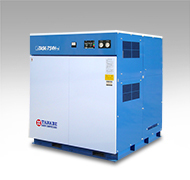 With the advantages of the screw type, this high pressure compressor is made to operate for various purposes. 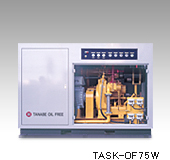 Recommended full O/H time is 100,000h(TASK-OF55—110). 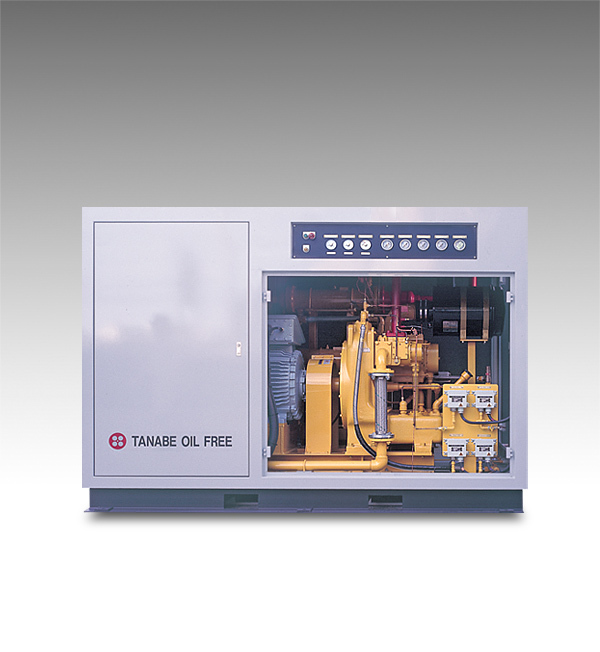 This oil-free air-end which has the virtue of high durability has achieved the most stringent air quality by limiting oil contamination as much as possible. 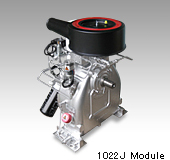 This is accomplished by TANABE original sealing structure. 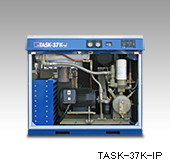 Furthermore, when "TASK-OF" parts for servicing need to be replaced during annual maintenance, it is easy to exchange parts, just as with the TASK module. 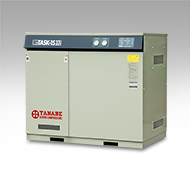 This module has met the needs of not only the general users, but even other customers with stringent requirements such as steel works, power plants, and government offices, due largely to the high durability and reliability of the TANABE TASK series. Products *click each picture to view large images.